Western Digital’s amped up WD TV Live Plus goes beyond Netflix with Flickr, Pandora, DVD menu support, control through Windows, and more. 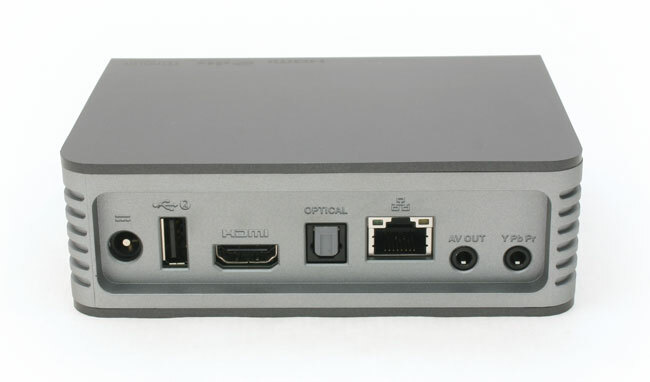 When a $150 box that could fit in your back pocket now does much of what a hulking $1,200 home theater PC used to do – without making so much of a whisper – it should come as little surprise that set-top boxes for digital media have taken off. 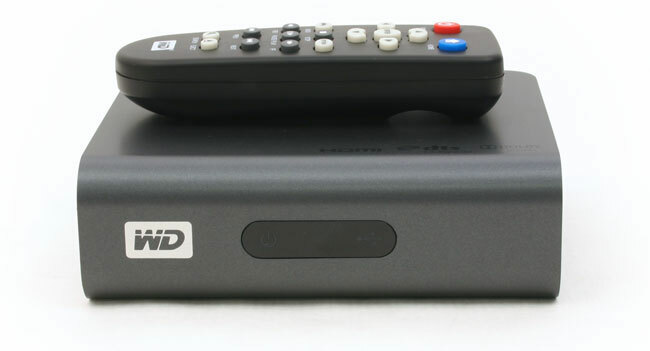 Western Digital’s WD TV Live Plus brings full 1080p resolution to the table, plus compatibility with Netflix, Pandora, and the ability to stream files over a home network, along with advanced extras like DVD menu support and Windows 7 “Play To” capability. The Live Plus isn’t much to behold out of the box, but unless you like to bask in a chorus of blinking LEDs below your TV, that’s a good thing. Like one of Western Digital’s My Box drives, the slate grey box has a bookish design with a rounded front face akin to a book binding, but a footprint more like a pocket dictionary than a novel. Around back, you’ll find a power port, USB port, HDMI port, digital audio output, an Ethernet jack, and two 3.5mm jacks: One for composite cables, one for component cables. The only lights on the front correspond to a power indicator and USB indicator up front. The box supports a number of online services, including Pandora, Live 365, Netflix, YouTube, and Mediafly, which aggregates content from a number of other services. It also supports most common media formats, including XviD, H.264, AVC, and some oddballs typically found on high-end players, like VOB (which lets you preserve the entire menu structure of a DVD). See the spec list at the end of the review for a full list of formats. The Western Digital WD TV Live Plus comes with every cable you need – short of the one you’ll probably actually use to hook it up. You’ll find composite audio and video cables, component video cables, a power adapter, and AAA batteries for the included remote. Conspicuously missing: an HDMI cable, which you’ll need to get the full 1080p video quality that’s one of the biggest selling points for the Live Plus. 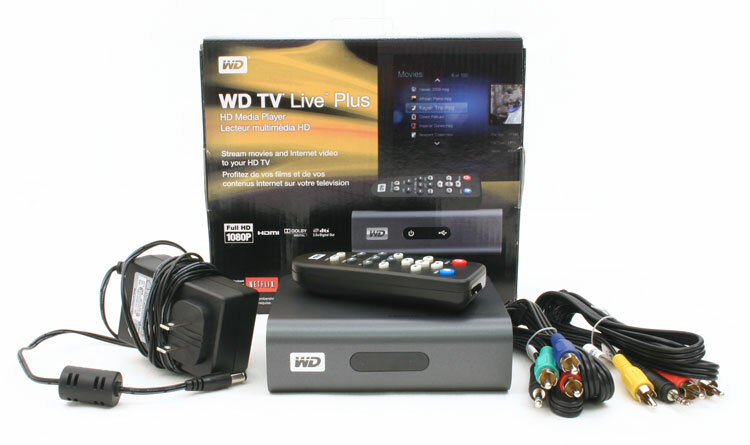 Adding the WD TV Live Plus to the jumble of equipment already crowding up your home theater cabinet is about as “plug-and-play” as you could hope for a device this capable. Pop the DC adapter in a free outlet for power, string an HDMI cable to it, and hope that it’s close enough to your router to run some CAT5. Twenty seconds later, you’re done. Like the ViewSonic VMP75, the Live Plus supports Wi-Fi, but you’ll need to buy a third-party adapter to enable it. Western Digital supplies a full list of compatible devices online. If you want to stream music and video from a network-connected PC, you’ll need to make sure it’s running a uPnP server. Sound complicated? It’s really not: Windows Media Player 12 will do it natively, just make sure to enable media streaming. Software like TVersity can also transcode files on the fly to support file formats the WD TV Live Plus HD won’t handle, just as it will for the Xbox 360 and other media streamers.